Blogger's Dinner Party: I'm Hosting! Guess what? Kate is getting ready for a big move, so I volunteered to help her run the Blogger's Dinner Party! For the month of August, you can enter the dinner party here at Lindsay Sews or at Needle and Spatula. (We'll have the linky on both blogs.) And I'll be here to remind you about the dinner party throughout the month. I won one of these in a recent giveaway on Sara's blog, and I love it so much that I asked her if she'd consider donating another one. Lucky for you all, she agreed! 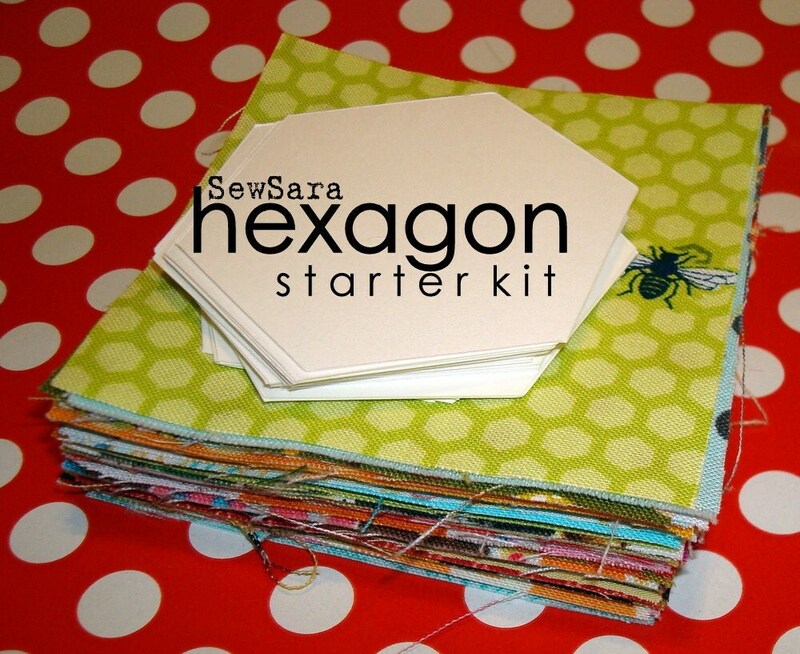 The kit comes with 25 hexagon templates and 50 small charms to get you started on your hexagons. 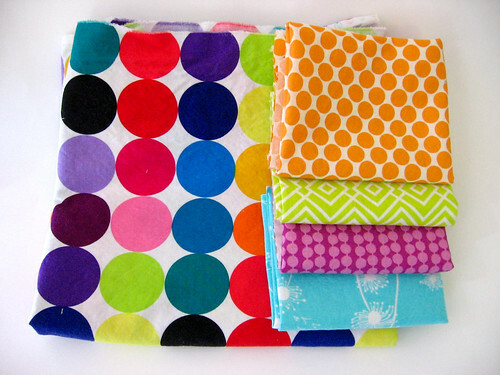 There's also still time to enter the July party, for a chance to win this yummy fabric from Kate! To come to the dinner party, just whip up a sewing project that has to do with the kitchen (be it a potholder, placemats, fabric napkins, an apron, a tea cozy, etc. ), write up a blog post. Then link it back to the party by the 28th of the month. It can be a project you've made in the past, too, as long as you write up a new post for it. So, what's more fun... snacking or sewing? What a great idea! I'll be there!